I've been upgrading parts since May last year. It's been quite a ride, but I'm quite happy with the final result. What started as a CPU cooler upgrade that led to changing the case. I ended up with a totally new PC (old hardware looked outdated in a windowed case). Went from Intel Stock Cooler to Corsair H60 to Corsair H110i GT (both Corsair coolers were great, but I got a good deal on the H110i and sold the other to my friend). Finally upgraded my old and trusty GTX660 with a GTX1070 and paired it with the ASUS PG279Q Gsync Monitor. works well and was able to OC it to 4.5 Ghz without much trouble. don't feel like pushing it more for a 24/7 OC. loving this motherboard, definitely the best I could find on this price range. nice subtle LED lights that separate the audio from the rest of the mobo. planning to get monitor speakers in the feature so the dedicated USB for DACS are nice! the OC features look very good and even brings 2 LAN ports. Intel and Killer NIC. best looking card this gen IMO. 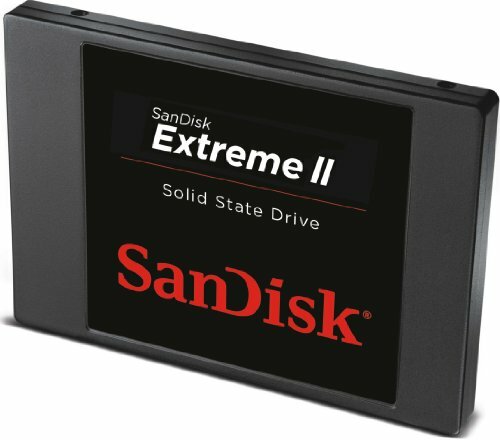 it is quite huge but keeps everything cool and performs great out of the box! 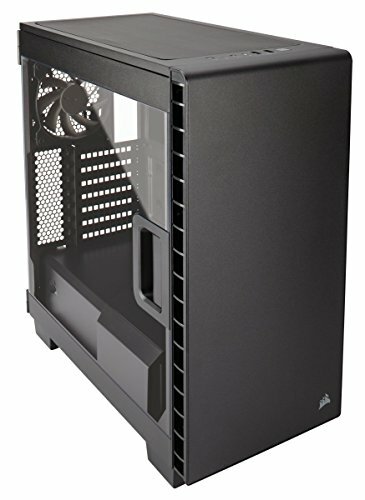 I love the case, compared to the previous cases this is heaven, I'm guessing for people looking for huge builds this might be too small. 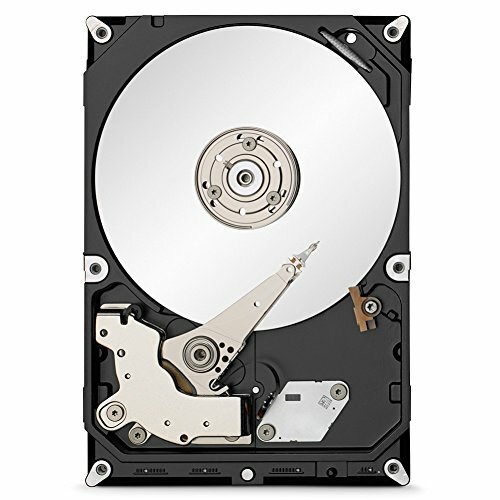 I was looking for a compact build without CD-rom and this has been perfect so far. the back door is a breeze to put back on even with messy cables. the fan layout possbilities are very good and the only thing I would change is the mechanism to take out the front panel to clean the dust filter. awesome keyboard, previous build was blue and now is red, having a keyboard to match any color I want is very nice indeed. 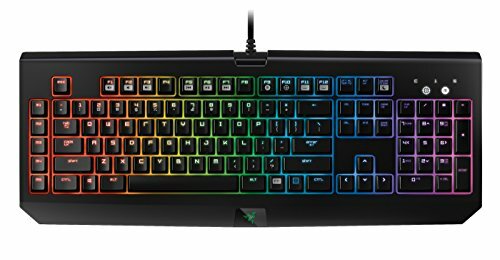 my profile was kept safe in razer synapse cloud. having colors changed while playing Overwatch was quite the surprise! I love those little details that just make your experience so much better. Beautiful build, although the monitor choice is questionable due to a lot of funds being sent to peripherals. Digging the Corsair Carbide Case though, dope build! Thanks! monitor upgrade is down the road, want to upgrade the video card first. I had the monitor and speakers from my old PC. finally was able to upgrade both GPU and Monitor! That MSI GTX 660 rocks!! I haven't had any problems with it so far. feels like a PS4 performance-wise specially with 1080p @60Hz monitor. Great setup, love it. I love that motherboard as well. I just got a Gaming 7. 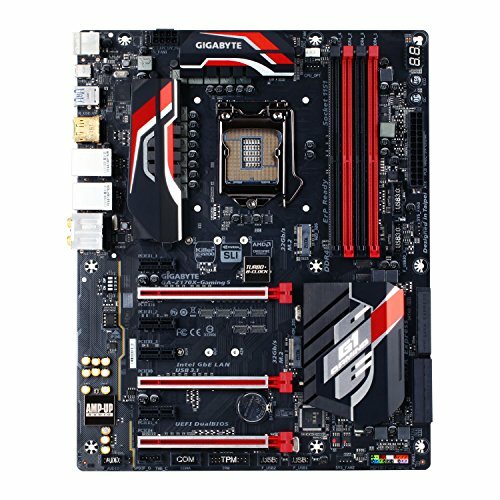 Man, let me tell you, Gigabyte makes excellent motherboards. I love that cable management looks nice. I would say liquid cooling would be overkill for this machine but 50$ is not bad at all. Honestly, I would toss that PSU, I wouldn't go cheap on those. Instead, I wouldn't spend so much on a mouse and keyboard; put that towards a better psu. I got a coolermaster keyboard and mouse set for 30$ on Amazon. So far, I love them. But, this is all personal preference. Great build! I really enjoy this motherboard. I'm not having any problems with included software (as opposed to my previous ASUS). I usually buy a new PSU when I get a new card. I'm planning on a 850W to have room for OC or SLI if I go crazy. 500W cheap PSU was good enough for my old setup with gtx660 mostly for WOW and movies. I will definitely improve my cable management when I get a new PSU. thanks! 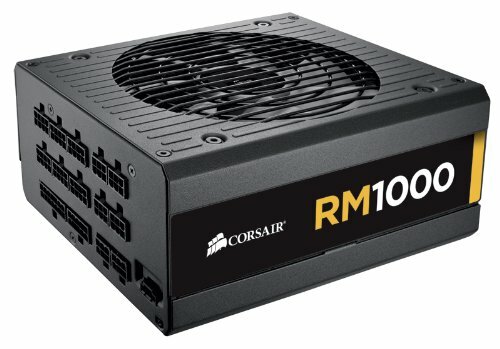 I have someone selling me a Corsair RM1000 PSU for $100. It is still under warranty and was used in a 300W system. Should I go ahead and get that? the side windows is gorgeous, front panel intake makes it easy to keep the PC cool and the PSU cover is a nice touch to hide everything there. I would love a 1080, I'm honestly very tempted. Getting a new video card and new monitor is a big investment though. I have a 4K tv but my wife has colonized it :( I will aim for a 1440p and wait for the 1070 benchmarks to make a final decision. How are the NZXT products? a lot of people have recommended me their coolers and cases, honestly i didn't like the NZXT case with the window. but haven't seen any coolers in person. I will definitely consider the x61. thanks for the suggestion and the honest opinion. I already did, got a corsair RM1000. need to update my list. Is your cpu oc to 4.6 and at how many volts and is this mobo good for overclocking. Did u have any issues with the oc? just updated my rig. I will let you know the volts when I get home tonight. the motherboard was awesome for OCing. it has plenty of options and you can even do an autoOC profile or manual if you wish to. Wow, our builds are pretty similar! (same case, same CPU cooler, similar mobo) Beautiful PC, love the sleeved cables. may I ask why you decided to install you radiator at the top? Thanks! I read on a reddit thread that top/push intake was one of the best ways to mount a rad from a temp perspective and I also wanted my two riing fans to both be on the same panel. I see... I have my rad on push/pull but on the front. might throw all the fans out and get the same brand/color fan . What kind of fps are you getting with the 1070 and on what settings? currently I'm only playing Overwatch, WoW and Shadow of Mordor. I'm getting 90+ FPS on wow with 6/7 on the video settings and 130-144FPS on Overwatch Ultra settings on 1440p. I forgot to test the frames for Shadow of Mordor. tested BF1 beta last night. 144FPS maxim my screen refresh rate on ultra/1440p. 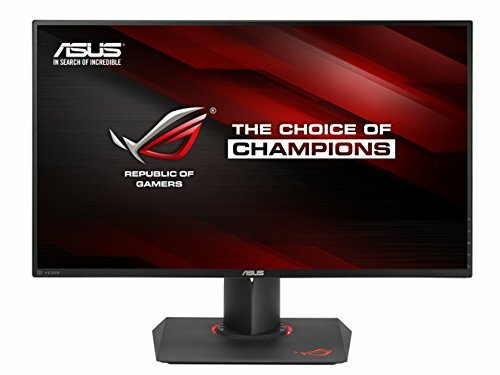 Yeah the monitor is expensive for a 1080 60Hz monitor for 700$. Overall very nice got my vote! Also what is the extended mouse pad you use? I am considering getting that mouse but I hear reports of it breaking after a few months. 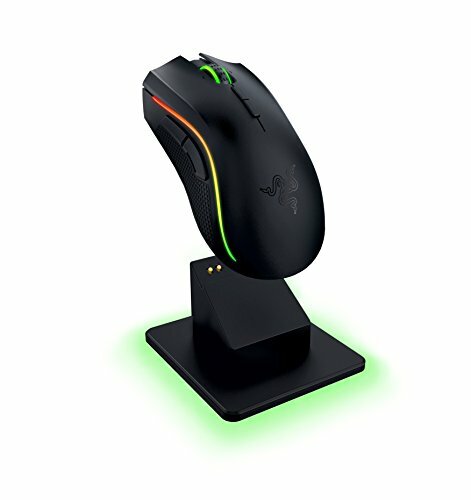 Since you replaced the mouse, how has it held up? PSU was enough for the old build, still researching about a new one. want to know the power consumption of the MSI or Gigabyte GTX 1070 when it comes out. 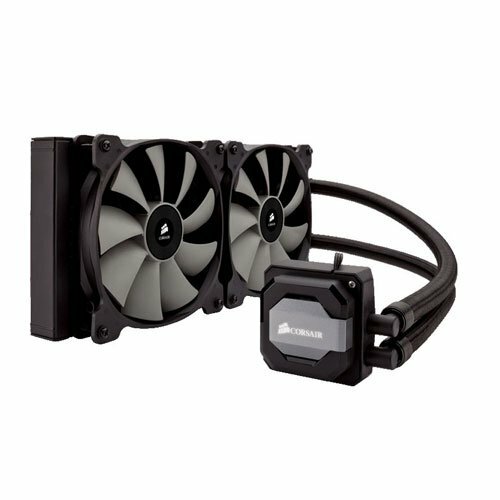 Wanted a modular PSU but I want something compact as well. thanks for the suggestions, I will definitely look into that.